In oracle solaris 10, zones was introduced which gave us an ability to create isolated environments for applications that can run on a single machine. Solaris 11 has added a lot of new features to the zones technology. Let us get started and see how we can create a zone in solaris 11. 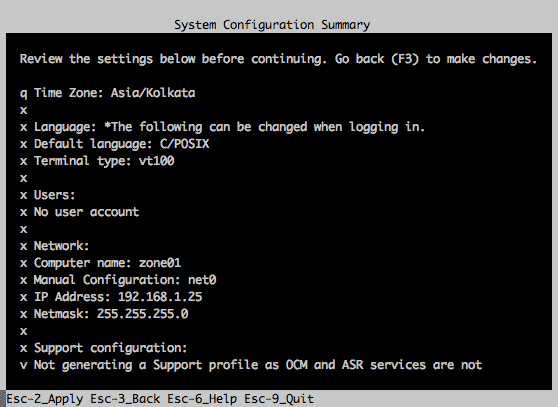 In case you are new to solaris zones refer the post how to create zones in solaris 10 to get started. 1. A good laptop/desktop with Solaris 11 virtual machine (VMware workstation or virtualbox). 3. ZFS file system to install zone (This is mandatory is Solaris 11). First thing we need is a installation path for the new zone to be created. I am going to create a filesystem under rpool of global zone. Using zonecfg we will create the new zone, zone01 and assign the necessary resources through the interactive configuration flow of zonecfg command. Before installing the zone make sure you have a IPS repository available to use as Solaris 11 uses IPS to install the new zone by downloading the installation image from IPS repository. I have a local repository set in my global zone. /rpool/zone01 must not be group readable. /rpool/zone01 must not be group executable. /rpool/zone01 must not be world readable. /rpool/zone01 must not be world executable. Done: Installation completed in 510.747 seconds. You can also check the file systems that are created under /rpool/zone01 for the zone01. The ZFS dataset used to create the zones gives us the ability to clone the zones. Now the final step is to boot the configured, installed zone and configure the zone using the System Configuration Tool (SCI). The system configuration tool starts after you press enter. Use ESC + 2 to navigate through the next screens. 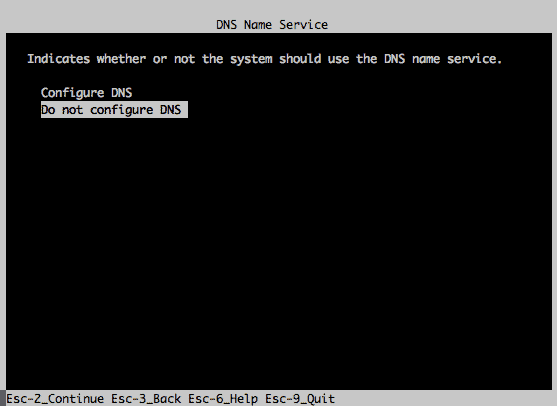 Set the hostname for the zone as zone01 and mode of network configuration as manual. Now set the root password. Also if you want any user to be created, you can do it on this screen. Double check the system configuration summary before going forward. After this the system will get configured. No need to login as its the console login of the zone. Use “~.” to come out of the console. Check the status of the zone01 from the global zone. It should be running now. net0                vnic      1500   up       ? If you check zfs list, you would only see zfs dataset assigned to zone and not the global file system.